Try a delicious Italian favorite of antipasto. 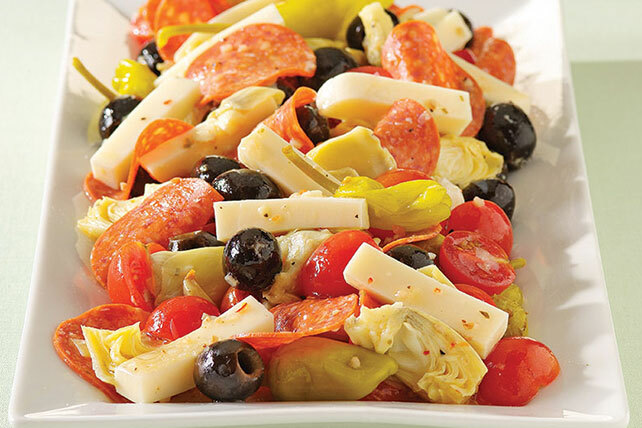 With artichoke hearts, pepperoni slices, cherry tomatoes and more, this makes a great appetizer or side. Pour dressing over all remaining ingredients except cheese in shallow dish; stir to evenly coat ingredients with dressing. Spoon marinated ingredients onto platter; top with cheese. Serve with toasted Italian bread.